Ambrosia and Iron: Postcard extras! 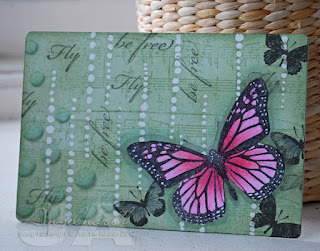 I may have got just a little carried away with postcard making when I got going on the Bubbly Funk swap! I did an extra couple with the same sort of look and feel as the first but different compositions. I used old music paper as the base layer on this one rather than using the music stamp as a background which has made the colour slightly different as it was a more yellowy base under the Bundled Sage ink. I thought the ornate italic font of the sentiment went well on here! Bubble border, butterflies and Copic colouring as before. 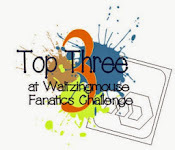 For the third one I wanted to mimic the vertical lines of bubbles that appear in the forum header. I made dots with a Versamark pen and heat embossed with white powder before inking the background. 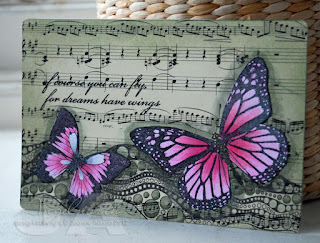 I used the same trick as I did on the original card of stamping with a Copic cap and tiny rubber washer to make bubbles and then stamped the sheet music background and wording randomly over the top. Thanks for stopping by, hope you have a lovely weekend! They complement the previous butterfly postcard perfectly. Really lovely! The postcards are all fabulous, Joanne. Imagine getting something so pretty through the post! These are great. 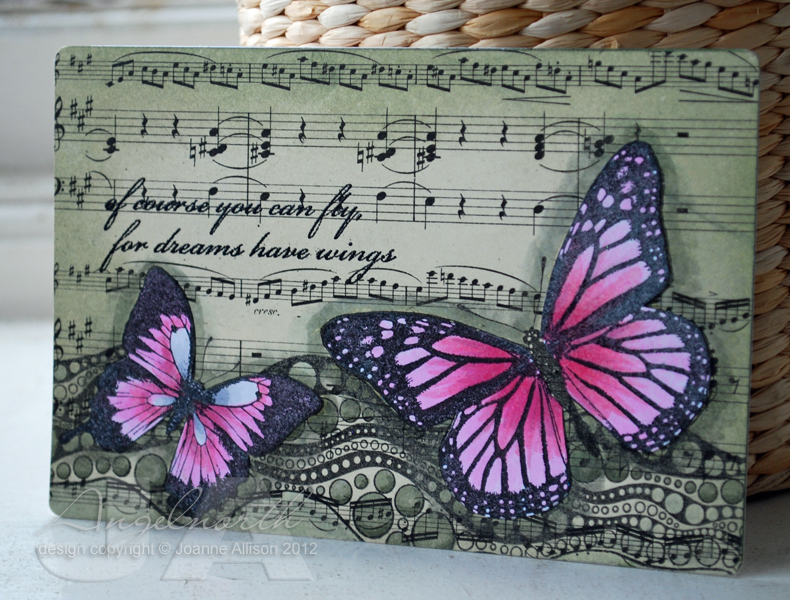 I love the contrast of the pink butterflies and the BG. Absolutely gorgeous Joanne. Love the sheet music background. Absolutely stunning ... can't stop looking at them. Gorgeous postcards and I love the contrast of colours and those bubbles. wow, they are so beautiful!! love the design and colors!